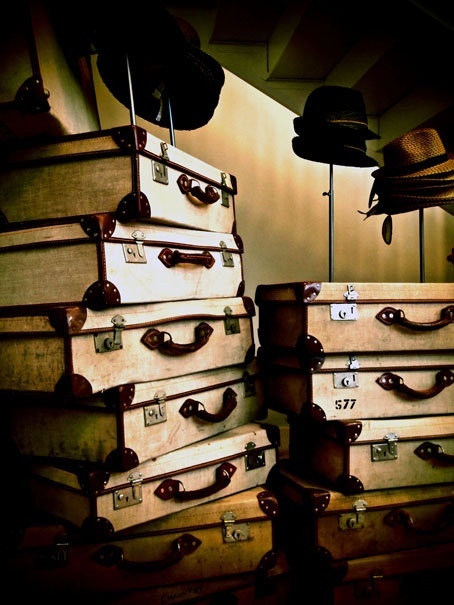 Let’s all get rid of our (eye) baggage! The older I get the more problems I have with bags under my eyes. I don’t have just bags anymore, I have a whole luggage set! It used to be I only got puffy eyes after a late night of drinking but now it’s more of an everyday struggle. The most common causes of under eye puffiness include lack off sleep, excess salt, dehydration and allergies. Sheesh! That’s all in a typical day for me! A coworker tipped me off to the magic of depuffing eye serums (thanks Steph!) and I have been searching for the perfect one since February. This was the least expensive of the three serums I tried and sadly also probably the least effective. However, it does work better than doing nothing at all. Not the strongest recommendation, sorry Garnier. This is solely a serum so you will still need to use an under eye cream. I love, love, love this serum. In fact, I am so in love I almost stopped the quest right here. “All About Eyes” has everything I need in an eye serum – it tightens and minimizes puffiness under the eyes. I would even go so far as to say it helps with dark circles too. It is the perfect beauty product for a working mom who does not get enough sleep. 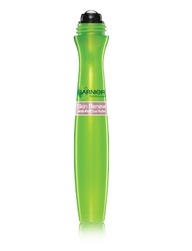 You will still need to use an under eye moisturizer with this product as it does not moisturize, it just works magic. 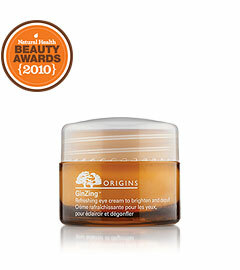 Origins has created with an eye cream that combines an eye cream, eye serum and under eye illuminator. I really like that this product has three products in one. Gin Zing is a better moisturizer and illuminator than it is a depuffer, but I ain’t mad. It is hard to be all things all people and this cream does cut down on how many products you need keep in the cabinet. I would keep this to morning use only. Of course, if you want to kick old school you could also use a bag of frozen peas or keep a couple of spoons in the freezer and place those on your eyes in the morning after a sleepless night. Sure your significant other may look at you like you are crazy, but there is always a price to pay for beauty. My son has seen me put a cold compress on my eyes so many mornings that he now gets his boo-boo bunny out and puts it on his eyes too. Solidarity, that is what I am talking about! Any tips for reducing under eye bags? Please share! Puffiness in the AM is a recent problem for me as well. Before I even drink my first cup of green tea, I apply a thick amount of Mad Hippie Eye Cream under my eyes but not so close that it will work it’s way into my eyes. I leave this on for an hour or two before I wash my face. It’s the best product I’ve found. Also hydrates, firms and helps with dark circles. The comany uses peptides to increase circulation and lymphatic drainage to reduce swelling and puffiness. Available my shop. Stop in for a sample. Thanks Sheila, I will pop by the next time I’m in Andersonville. I got this: http://www.physiciansformula.com/en-us/productdetail/07583.html at our friendly neighborhood Target not too long ago and it works. Now you’ve made me want to try the Clinique one. You’ve been holding out on me girl. I’m going to check it out.